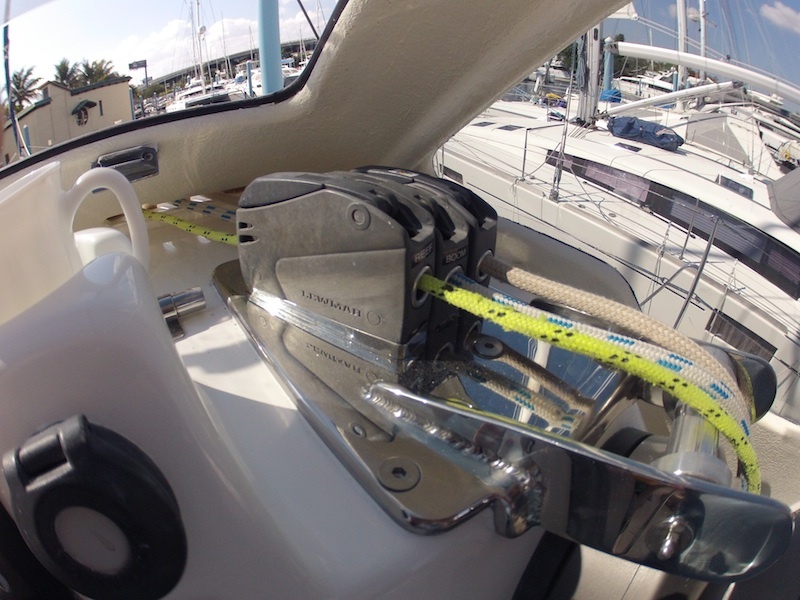 Today so far Just catamarans has installed the amended winch roller – a job that takes a fair few hours and has been done so many times that I even have a special tool kit that is slim enough to reach the nuts! I really think this is the last time it will be done. Over time we have modified this stainless steel assembly to be much larger with the clutch bolts themselves acting as a bolt down for the back of the plate and with each individual clutch aligned to its rope. This even includes tapered stainless blocks to give them the correct angle and avoid any undue stress on the clutch. The riggers have just called buy to drop off some stuff including a lovely new cadger – a portable clutch that can take high loads. This will enable me to attach it to a pad eye (yet to be installed) and thus use keep the gennaker/screecher clutched whilst using the winch for say the reefing line or the traveller line. More pics when that is installed. So this afternoon they bring the screecher with its new anti-torsion rope set up and the gennaker sporting its new top down reefing system. We will be able to raise/lower the screecher/gennaker from the cockpit! 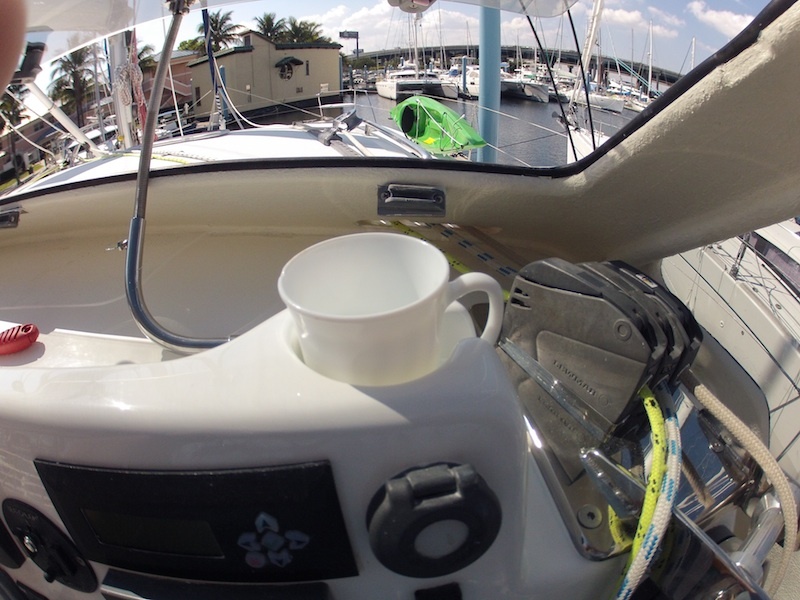 We believe if you make things as simple to use as possible you use them more and we so much prefer sailing to motoring. That clutch/roller thing has become massive. Is it not in danger of getting in the way when you are at the wheel? No, not at all. The wide angle camera lens may distort it a bit. The original roller from St Francis Marine hit the winch drum and distorted the entire fibreglass section as well as putting enormous loads on the clutches because the ropes were not aligned with them plus just boring through to the axle of the guide wheels in front of the clutches ….. it could not have been worse had you planned it to be bad and the same system is still being used with the same chafing of lines etc on later boats.